The iPhone 5. 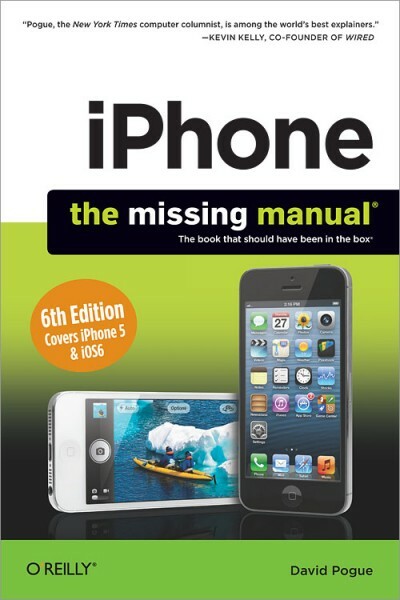 This book unearths all the secrets of the newest iPhone. Taller screen, faster chip, 4G LTE Internet, thinner than ever. The iOS 6 software. Older iPhones gain Do Not Disturb, the new Maps app, shared Photo Streams, camera panoramas, smarter Siri, and about 197 more new features. It’s all here. The apps. That catalog of 750,000 add-on programs makes the iPhone’s phone features almost secondary. Now you’ll know how to find, manage, and exploit those apps. Text Messages: Details and Misc.